Some projects made by you! Yes, projects made by you. One of my favorite things about blogging is when someone emails me with a picture of a project they made using one of my tutorials. It’s so gratifying to know that my tutorial has come to life in someone else’s hands! I received a photo from Claire in Alberta, Canada with a picture of her Halloween version of my Spring Petals Table Topper. This is a great way to showcase a few Halloween prints, and that spiderweb quilting is spectacular! If you remember, I offered a non-applique option for the center of this table topper. Claire combined the two options and made it her own. I think hers turned out much better than mine! Another follower, Nicola Knott from the UK made a table runner using my Pinwheel Stars Table Runner tutorial. Her version is called “Paws and Pinwheels” and it was made for the Leonberger Rescue auction. The paws fit right in that space between the stars – very clever idea! Nicola (Nik) also made this “Paws for Christmas Advent Calendar” using my Christmas Tree Wall Hanging Tutorial. I love that paw at the top and the one down below! Another clever idea was to make the star centers into pockets. They’re big enough to hold a dog treat or a piece of chocolate (for the human breed). Very sweet addition! I know many of you are busy making gifts for the holidays. I’m right there with you! 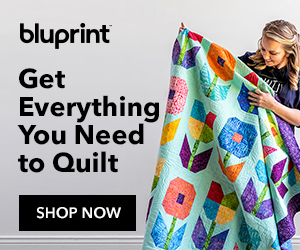 You can find plenty of inspiration at my Christmas Quilting Pinterest Board or you can check out my tutorials page for more holiday gift making ideas. Fun post. LOVE the Halloween topper. My fall topper is on my dining table now, graced with a small collection of mini-gourds. I have a quilt for my youngest grand in the queue based on your Minky and flannel baby quit design, will share it when it is finished (by mid-December, as it will be a gift). Could you ask Claire to share the fabric name for the Halloween table topper?